As described in Chapter 2.2, the development of an idea into a script marks the very beginning of a film project. Analogous to these creative tasks every producer – regardless of whether it is an individual producer or an affiliate of a major studio-distributor – must secure the required funding for a given project. 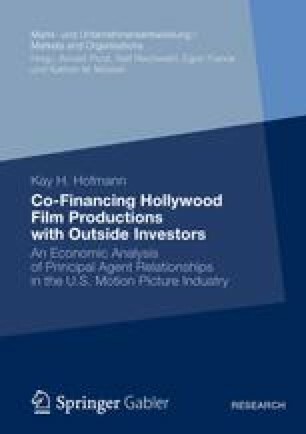 Because the latter is a necessary condition for a film to be ‘green-lit’ and passed on into the production stage, significant efforts are made to attract investors or lure in other grants, as underlined by Vogel’s (2007) remark above.